Hi, everyone! And welcome back. 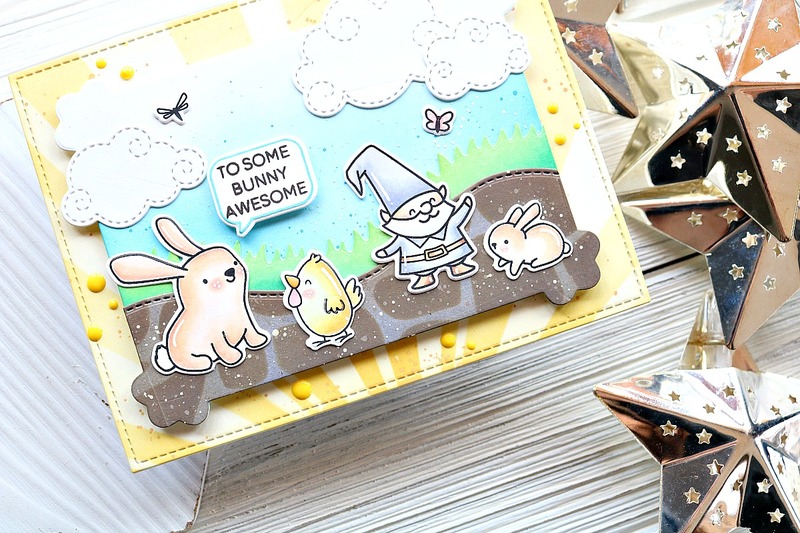 It’s Cassie here again to share a card I’ve made for the Whimsy Stamps blog. My mind has been torn between how I don’t want summer to end, but also how I can’t wait to dive into fall! Is anyone else struggling with this?? To combat that feeling, today I’m taking a stamp that I thought was so cute from Whimsy and making it into two completely different scenes. Let’s take a look! As you can see, I took the Fairy and Puppy rubber cling stamp and stamped it out twice onto some 110 lb white, Copic friendly card stock. To make two completely different cards I went with two completely different color combos. The Halloween scheme used purples, oranges and a lot of dark grays, whereas the summery one was all about light pink and aqua with light grays. Each image was fussy cut out and I added some adorable white gel pen accents to them for a little interest. I took two pieces of white card stock that were cut down to 4 1/4 by 5 1/2 and used a cloud stencil to create a puffy cloud background. For the summery card I went with a whimsical pink, and for the Halloween card I used purple and orange for a darker look. Both pieces were spritzed with water to get the great effects of Distress Oxides going. I also die cut a grass border with the Wavy Edgers Dies. I love the versatility of this die set! Last week I used it for waves, and this week grass. It’s a great set to have. I adhered the grass pieces down to each card base, which were both ink blended with Twisted Citron and Lucky Clover Distress Oxide ink, and adhered the girl and her puppy over that. I chose a sentiment for both cards that I thought suited them. For the summery card I used a sentiment from Bold Statements set and heat embossed it in gold in the sky. For the Halloween card I used a sentiment from Boo to You which was heat embossed with white embossing powder. And that was it for my cards today! 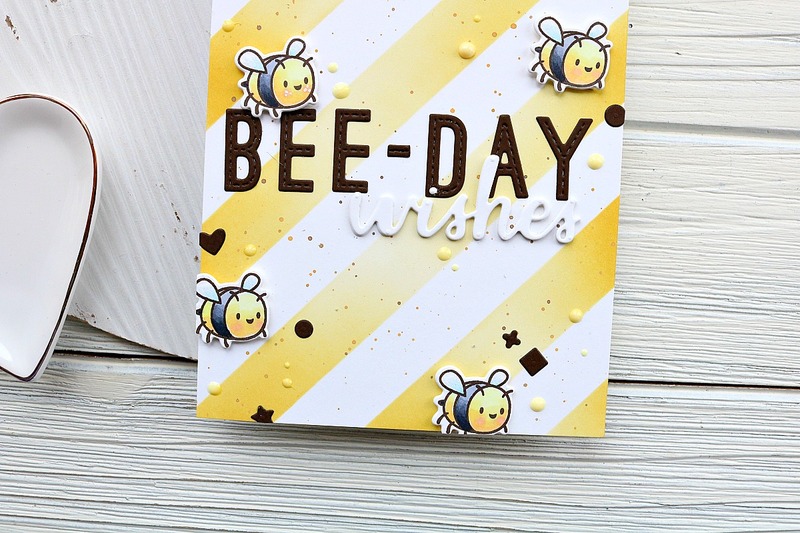 I hope you enjoyed this post showing how to use a stamp set and get two different results. Thank you so much for stopping by, and I’ll see you again soon with another card! YNS September Release Blog Hop! Hi, everybody!! Welcome back to the blog. I’m so excited that it’s finally time for the September release to be available, and to show you my new release projects! I love fall crafting, so this is always one of my favorite release of the year. First up, I’m going to share one of my favorite sets from this release, which I previewed on the blog yesterday, Autumn Harvest. I just love these cute images that are all ready for fall inspired cards and projects. I think the scarecrow is my favorite, but that fox comes in a close second! I used this set yesterday for my project, along with some other new products. And now to my projects for today! As I mentioned yesterday, I’m really into using my alcohol inks lately, and I just had to use them again for my first project of the hop. 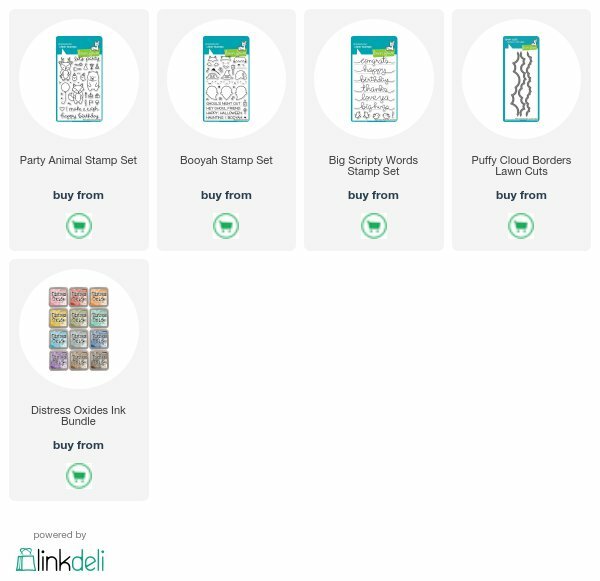 I just love this new One Smart Cookie mini stamp set. There are so many great uses for it. I love the pile of books this cookie is sitting on. I can relate to having a list of books to read, and getting lost in their stories. I decided to make a galaxy background for this card and die cut some hearts from the Stripe-tastic Heart die set for some fun interest. I heat embossed my sentiment with gold embossing powder and popped them on my card with foam tape. I just love how this one turned out! For my next project I used the Ghoultastic Halloween stamp set. I love all the cute little Halloween characters in this set, and could imagine putting them all on a card together. But for this card, I decided to take the sweet little witch and giver her a spooky background to mix her brew in. I painted some gold water color onto an A2 piece of paper and used foam tape to adhere the Star Panel die over top after ink blending a couple blue Distress Oxide inks to create a dark sky look. The sentiment was heat embossed with white embossing powder, and the little witch was colored with Copics and fussy cut out. I added tons of white gel pen accents as well as some white Nuvo drops. Alright! Are you ready to see more awesome projects?? Click the blue button below for the hop list and be sure to leave comments on the posts for a chance to win a $25 YNS gift certificate! Also, don’t forget the coupon code for any orders you place at the store! Hi, friends! Today I have a card to share with you for Your Next Stamp’s Feature Day. Today’s theme was monochromatic cards. I was struggling with this, until I saw the Fab-Boo-Lous stamp set which has this cute little ghost in it. Then it hit me that if I filled my card with ghosts I would only have a monochromatic card! I masked all those little buggers out and ink blended some gray clouds in the background. Then I took the alphabet dies from YNS and spelled out Fab-Boo-Lous for my sentiment. Finally, I heat embossed the ‘you are’ from the Fab-boo-lous set and added it to the card with foam tape. The whole panel was attached to a gray card base and my monochromatic card was done! I hope you enjoyed the card for today. Be sure to check out Your Next Stamp’s blog for more inspiration and great projects. Thanks for stopping by, and I’ll see you again soon with another card! 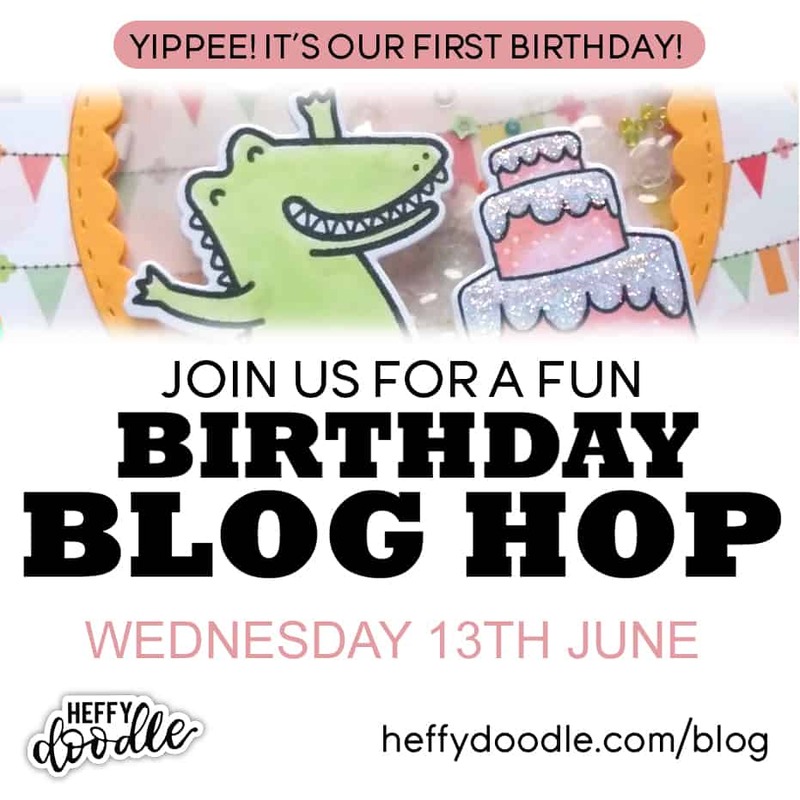 Heffy Doodle Birthday Blog Hop! Hi everyone and welcome to the Heffy Doodle Blog Hop!! If you’re just starting the hop here, be sure to head back to the beginning to get all the Heffy Doodle goodness from the other hoppers! We’re celebrating Heffy Doodle’s 1st birthday, and what better way than to have a bunch of crafty people to do what they do best and get crafty?! I’ve got a fun project to share with you, but be sure to read to the end for coupon codes and prize info. I started today’s card by die cutting the Stitched Bubble Background die from some 110 lb card stock. I just love the detail of those stitched bubbles! They make the perfect detail, especially for an underwater card like I made for today. I used my Distress Oxide inks to ink blend some color over top. I used Peacock Feathers and Blueprint Sketch. Then I spritzed it with water to add more bubbly texture to the paper. I also die cut a stitched hillside from some white card stock and ink blended Antique Linen and Walnut Stain Distress Inks over it. I spritzed that as well, and set aside to dry. Next I stamped out my pups from Yappy Mail, and the kitten from Mewniverse and got to work on altering the images so that they fit my underwater theme. I gave them little bubble helmets by tracing the inner circle of a circle die I have. Anything would do for this step really! The trick is getting something that is the right size. Once that was traced I colored them, and some of the images from Party Palooza in with my Copic markers. The party images I was able to cut out using the coordinating dies, but the animals were fussy cut due to the altered image. But it really didn’t take that long! I adhered the sandy bank with a tape runner, and some of the images were popped up with foam tape for dimension. I made sure to leave enough room at the top for my sentiment. I die cut three of the Sending Dies and layered them on top of each other for dimension. Then I stamped a sentiment from Yappy Mail onto the smallest of the Strips of Ease die that I cut from some light blue card stock and heat embossed it with white embossing powder. Then it was time for some finishing touches! I added white gel pen accents to the images, and glossy accents to their bubble helmets. I also added a ton of white Nuvo Crystal drops for more dimensional bubbles. I adhered the card panel onto a card base and the project was complete! I hope you enjoyed it! Alright! Now for all the info. If you’re inspired by the projects you see today be sure to take advantage of the coupon code: HeffyBirthday2u It gets you 20% off your order now until June 17th! Thanks so much for stopping by and enjoy the rest of the hop! Good morning, and welcome back to Creatively Cass. I’m here today to share a couple Halloween cards that I’ve made over the last couple months with you. The first card I have was made using a mixture of Your Next Stamp products. I stamped the stars from the Little Darling Super Hero set in VersaMark and heat embossed gold embossing powder over them. 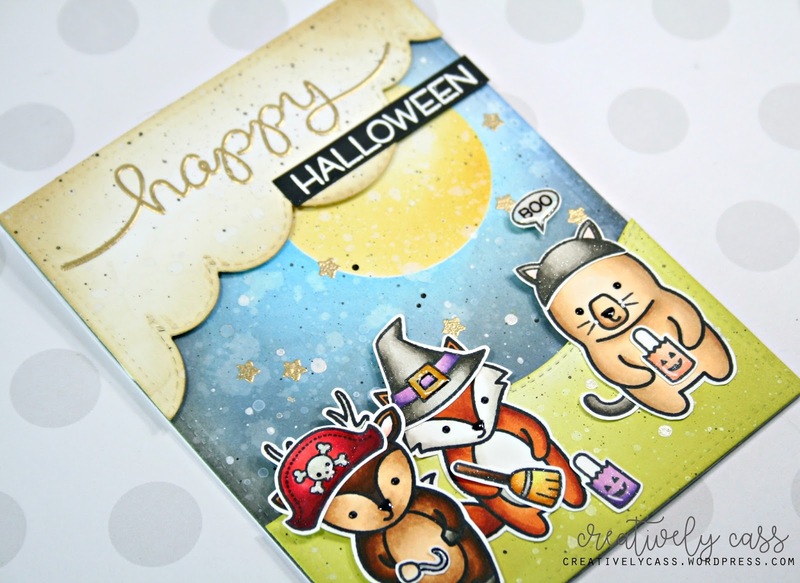 I stamped out some cute little images from the Fab-Boo-Lous and Halloween Graveyard stamp sets to create the scene for my polaroid photo. The polaroid was die cut using the InstaLove Polaroid die. I also used the Washi Tape dies to create a banner for my sentiment. This next design you might recognize from the Your Next Stamp September release. I just had to do this design again, only this time I knew I wanted to make it spooky. I’m not going to describe the design too much, so if you’re interested in how I put it together you can take a look at the card I did for the September release post. I Love how this cute design can work for literally any occasion. The last design I have for you uses a new to me technique that’s become popular again-alcohol inks. I’m no pro at this technique, but it’s really fun to do! I used the alcohol inks to create a spooky background and stamped the Batty Background Ink Splatter over it. I also stamped out some of the candy corn characters from the So Corny set and colored them in with my Copics. I used that Washi Tap die again for my sentiment, which was heat embossed over it. Alright! Those are all my special Halloween cards for this fun and spooky day 🙂 I love Halloween, so these were a treat to make, lol! Who else is celebrating Halloween today? Anyone taking the kiddos out for some trick-or-treating? Thanks so much for stopping by today! I hope you enjoyed my projects. Have a great day, and I’ll see you again soon with another card! I die cut the Star Panel Die and taped the back so the stars didn’t fall out. Then I ink blended some Black Soot Distress Ink over the panel and splattered it with water. I stamped and colored in the three pumpkins from Halloween Pumpkins and some of the accessories from Silly Monsters Incognito Two. To color them in I used Zig Real Brush Markers and colored pencils. I recently saw a video by Nina-Marie where she did this, and I had to give it a try. I love the way it turned out, and I can’t wait to do it again. Once everything was dry I fussy cut out all the pieces. I die cut a word bubble from the Talk Bubbles and Arrows dies and stamped my sentiment on it. The two outside pumpkins were attached with adhesive and the middle pumpkin and word bubble were attached with foam tape. I stamped the card base with a stripe background set in orange ink and put the star panel on it. After adding some glossy accents my card was finished! I hope you enjoyed the card today! Thanks so much for stopping by 🙂 Saturday I have a lot of cards to share for World Card Making Day, so I’ll see you again soon. Have a great day! I didn’t have any oval dies so instead I used a circle. I made a Distress Ink background with the jack-o-lantern face from the Peek a BOO stamp set. I love how it turned out! I also stamped the cute dog and cat with a jack-o-lantern and colored them in with my Copics to add to the center of the circle from the Stitched Circle Frame Die. I also die cut some clouds and used them to make a little scene for my two little animals. A piece of vellum, cut down and die cut with the Tiny Stitches Stitched Line Die , went behind the circle and clouds to go along with the challenge. I didn’t want to cover up that fun background, so the vellum lets you still enjoy it! To finish the card I stamped and heat embossed the sentiment “Happy Halloween” in the lower right corner. That’s it for me today! 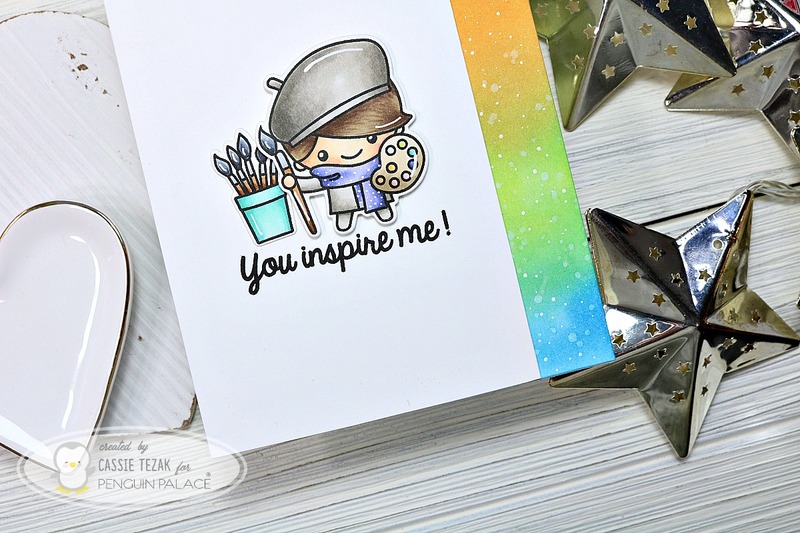 Head over to the Your Next Stamp blog to see all the awesome projects for today, and play along with us! If you do you are entered to win a prize. All details are on the YNS blog. I hope you enjoyed the card for today, and I hope you have a great weekend! Thank you for stopping by, and I’ll see you again soon! Welcome back! It’s new release time for Your Next Stamp, and this month we are sharing some awesome projects featuring even more awesome products! If you haven’t taken a look at the preview projects yet, you definitely should! This release has some really fun fall sets, but also some versatile sets that can be used year round for all occasions. One such item is the Insta Love Die set. I featured these cute Polaroid style dies in my card earlier today. It’s difficult to see in my photo, but they do have a faux dotted edge around the outside. In person it’s much more visible! They’re sooo fun to layer and make cute little scenes with! Another favorite of mine from this release is the Ooh LaLa Stamp set. It’s this adorable little set with macaron images and super sweet sentiments. I stamped one of the macaron images and colored them in all colors of the rainbow. Then I stamped my sentiment (which has a beautiful font) beneath them. Of course I had to heat emboss “ooh la la” to go with it. 😀 I love the clean and simple look this gave. Another awesome pair of products can be seen in my next card. Your Next Stamp is the best at making awesome background dies, and the Star Panel Die is no exception. I knew I had to try my hand at a galaxy background with it! And this cute little chick from the Hobby Chicks set was perfect for the dreamy background. Thanks so much for stopping by today! Let me know what you have your eye on from the new release! I used a lot of the new products from the September release, but the one I’m highlighting today is the Washi Tape Sentiments. There are some really awesome Washi Tape Strip dies that you can cut from any card stock, and then there’s a whole set of sentiments that can fit into either of the two washi tape die sizes. Here I heat embossed my sentiment onto the die cut washi strip and it was the perfect way to add a sentiment to my card! I think fall crafting is my very favorite, so I’m super excited to show more from this release! I’ll be back later to join in the September release blog hop, so be sure to check that out as well! Thank you so much for stopping by, and I’ll see you again soon! I’m mixing a bunch of Lawn Fawn products today, to create this cute little trick-or-treating scene. I think part of my love for Halloween card making is making those beautiful night skies with huge full moons! They are sooo fun. I combined the Party Animals, Booyah, and the Big Scripty Words stamp sets to create a cute little characters and sentiment. The Puffy Cloud Borders and Stitched Hillside Borders set the perfect scene for the littler trick-or-treaters. I used Distress Oxide to color my background and die cut pieces. I always love a good splattered background, but there is something super awesome about a Halloween scene with all that mess. I even had time to make a video for today’s card! Woot woot! I’m still learning, so it’s not the best video, but hopefully it helps explain the card making process for this card. Thank you so much for stopping by today! I hope you’re all enjoying the last few days of August. Have a great day!